John Cathcart spent 20 years in the USAF as a pilot. In those 20 years, Cathcart and his family moved 15 times—including four overseas tours. In addition to training aircraft (T-37 & T-38), Cathcart piloted the B-52 (D and H models), FB- 111A and the F-111F. His last military flying was in the C-12, which he flew while serving as a military attaché in Colombia and Venezuela. For the remainder of his military career, Cathcart worked in a series of staff assignments, including the Office of the Secretary of Defense (Special Operations & Low-Intensity Conflict) at the Pentagon and the US Southern Command (both in Panama and in Miami). Shortly after retiring from the Air Force in 1998 (at the rank of Lieutenant Colonel), he was hired by American Airlines. He spent most of the next 16 years flying 737s out of American’s pilot base in Miami. In 2015, he traded in his airline uniform for much more casual clothing befitting a fully retired person. He now devotes most of his time to scaring—not catching—fish in the lake behind his house, spoiling his grandchildren, driving his wife crazy, and dreaming of new books to write. 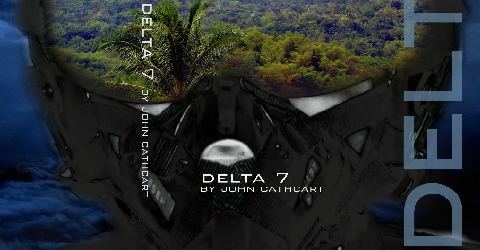 He is the author of Delta 7, a fictional thriller based loosely on his experiences as a military attaché in Colombia and Venezuela. His book has won the Military Writers Society of America’s 2009 President’s Award and the the Gold Medal for Fiction in the 2009 Branson Stars and Flags Book Awards. Glad you were able to find the site. Still looks like I’ll publish this summer. Great seeing your site and learning about your book. I’ll check it out, and pass this information along to a few of my friends from the “Heath”. I arrived for my 3 year tour in May 1986 and left May of 1989. Worked as Chief of the Command Post under the Wing Commander.. Looking forward to reading this…. Thanks for commenting on the blogsite. You did a beautiful job on the website. I hope we fly together again, so see what you can do about snagging those trips out of FLL! Thanks for the coaching and I’ll email if I end up sratching my head about something.